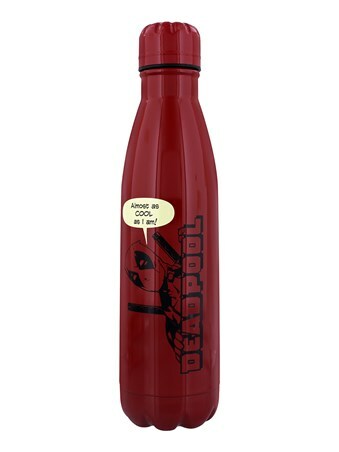 If you're nearly as cool as Wade Wilson, this awesome metal drinks bottle will give you some extra cool points in the eyes of Marvel fans. 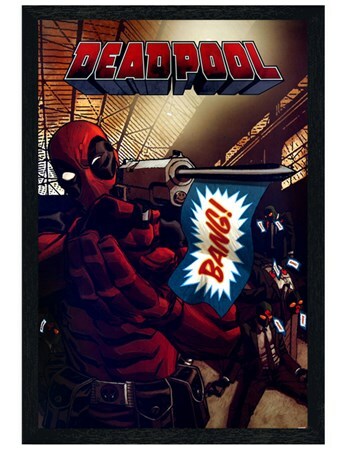 Featuring the outspoken, witty anti-hero we can't help but love, he appears in his classic comic book style on one side, with his infamous mask logo on the other. 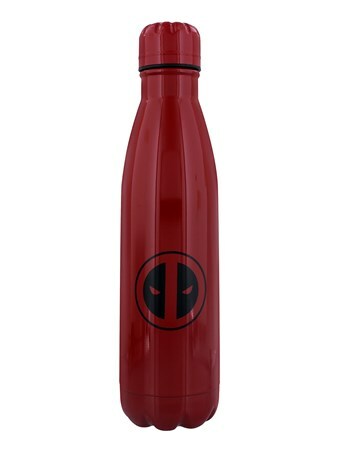 Fill with a refreshing beverage to keep you hydrated when you're fighting any bad guys you can get your hands on. 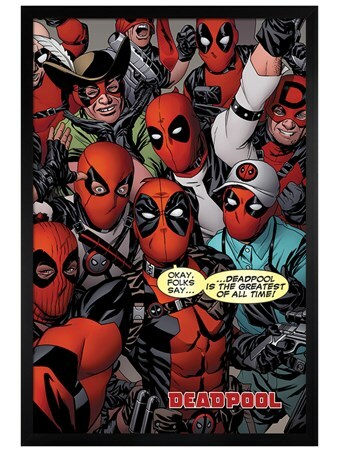 High quality, framed Peek-a-Boo, Deadpool water bottle with a bespoke frame by our custom framing service.